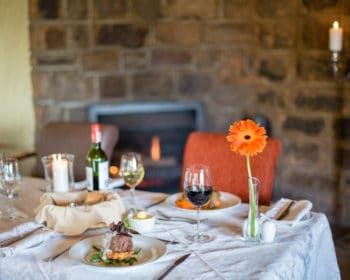 Matched only be the scenic beauty of the estate, dining at Walkersons Hotel & Spa is a celebration of the senses. 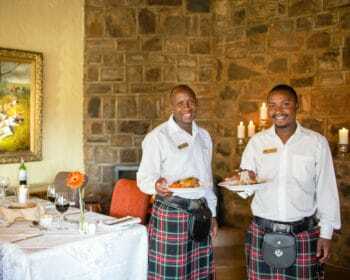 The hotel features two on-site restaurants: The Flying Scotsman and The Terrace. 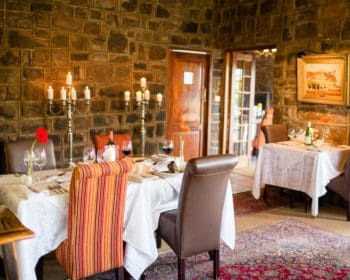 One of the most popular dining experiences in Dullstroom, The Flying Scotsman is the venue for decadent 4-course dinners each evening. 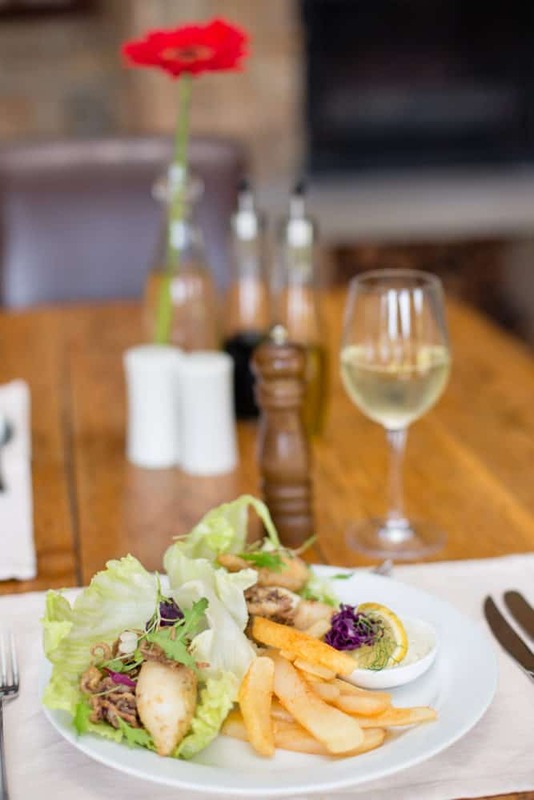 The constantly-evolving menu is designed daily, utilising fresh and seasonal ingredients to create an array of perfectly-proportioned dishes. 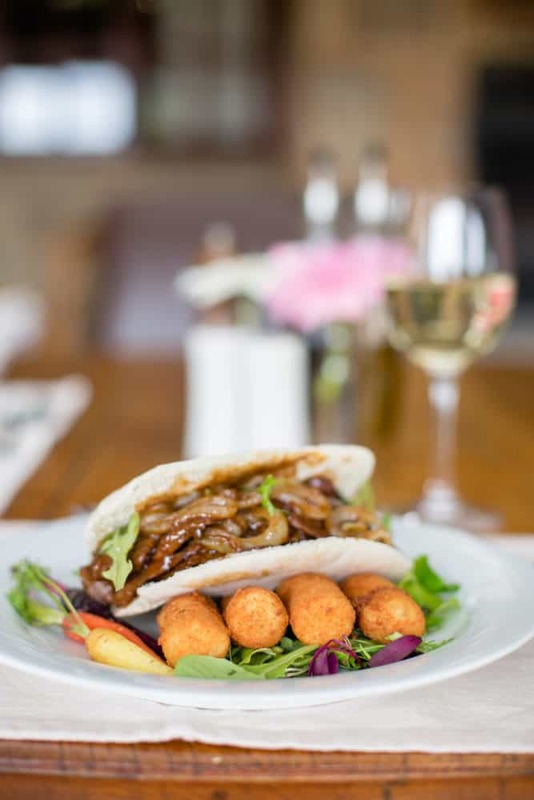 Open for breakfast, lunch and dinner, The Terrace presents lighter options from an extensive menu throughout the day. 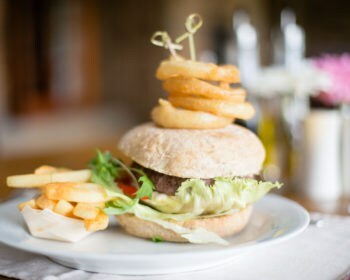 The extensive menu caters to families and children under 12 years. 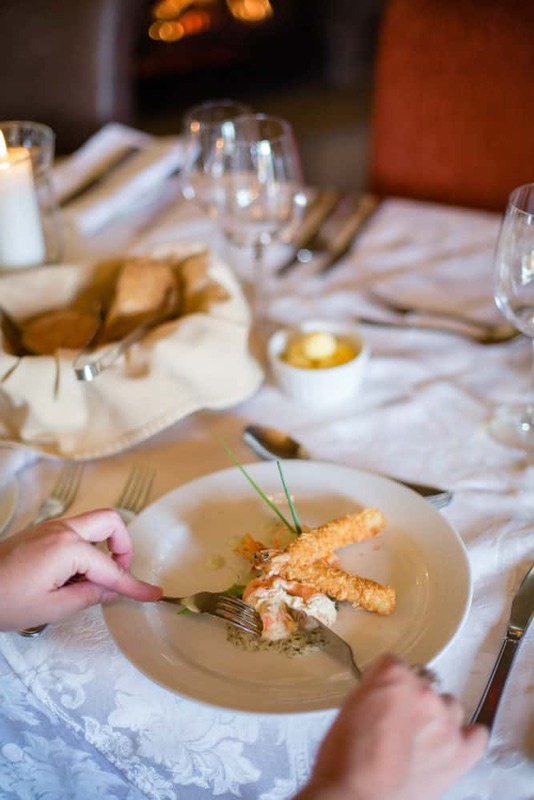 The culinary team at Walkersons Hotel & Spa is led by experienced Chef Adi van Wieringen. 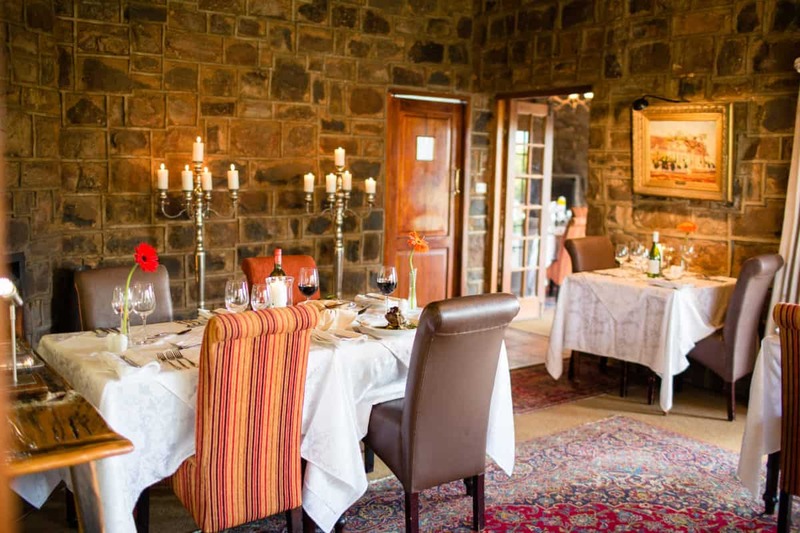 Seeking an intimate gourmet-country dining experience? 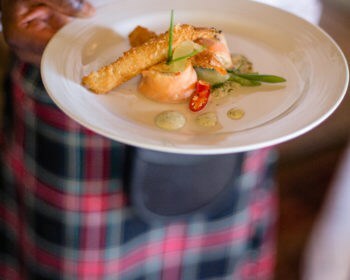 The culinary journey at The Flying Scotsman introduces a variety of courses and sorbets in the fireside intimacy of the dining room. 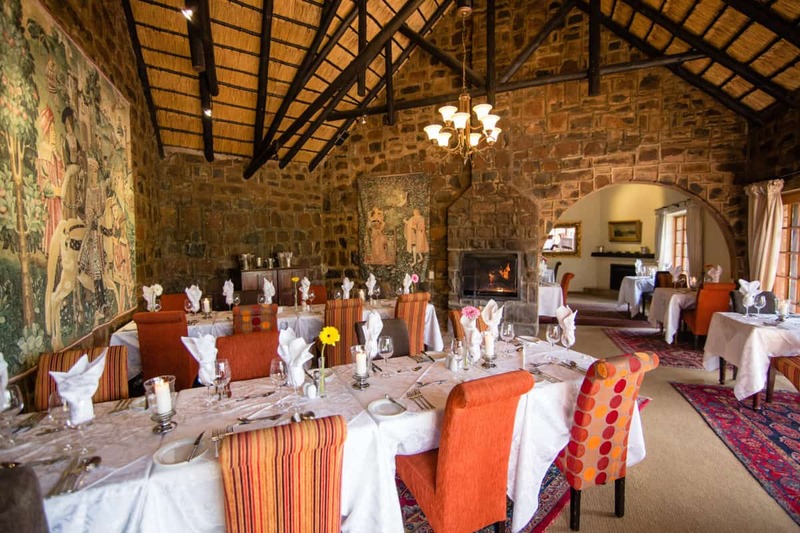 In terms of décor, expect crisp white linens, opulent floor to ceiling drapery, high thatched ceilings, and stunning artwork donning the exposed-brick walls. 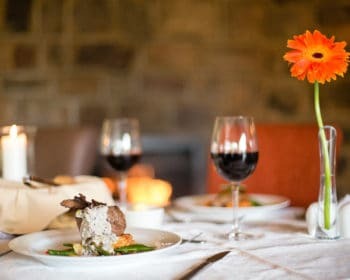 Guests are invited to select a bottle of wine from our vintage collection, before being tempted by signature dishes such as roast duck with a black cherry sauce and rainbow trout. 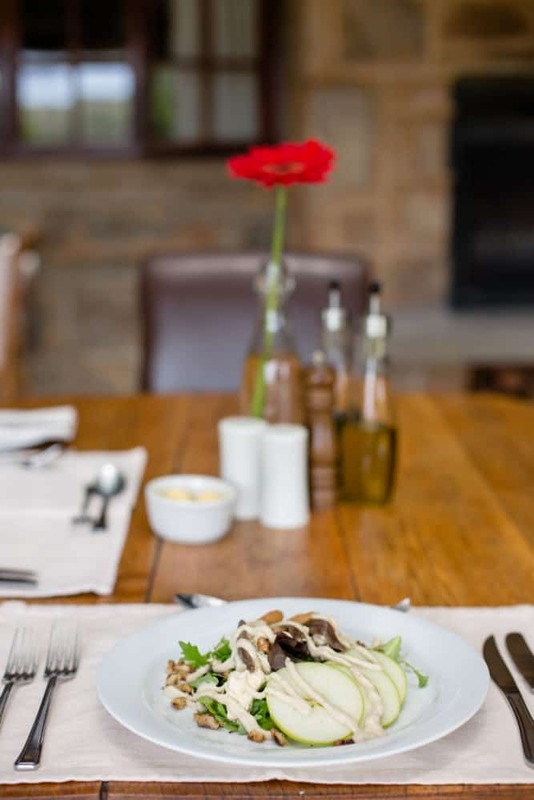 As mentioned, the menu is designed daily, taking into consideration what locally-sourced ingredients are in season. 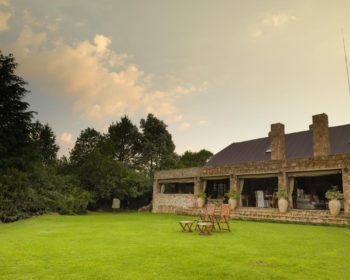 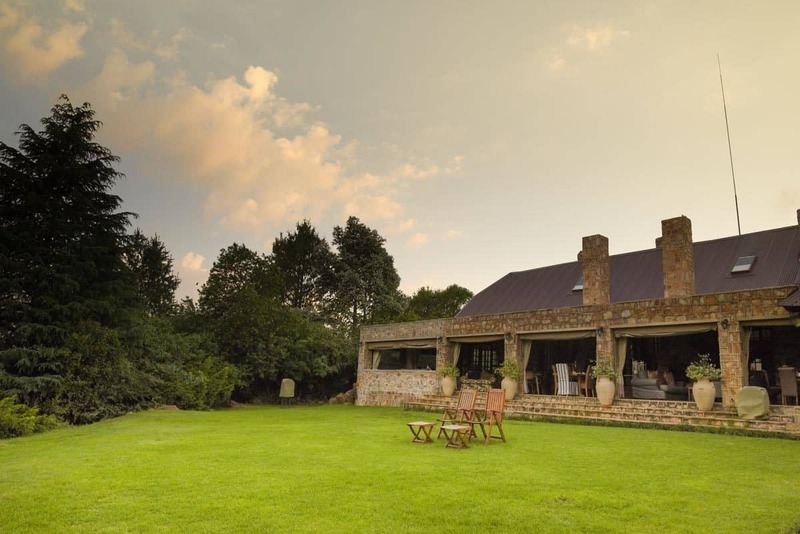 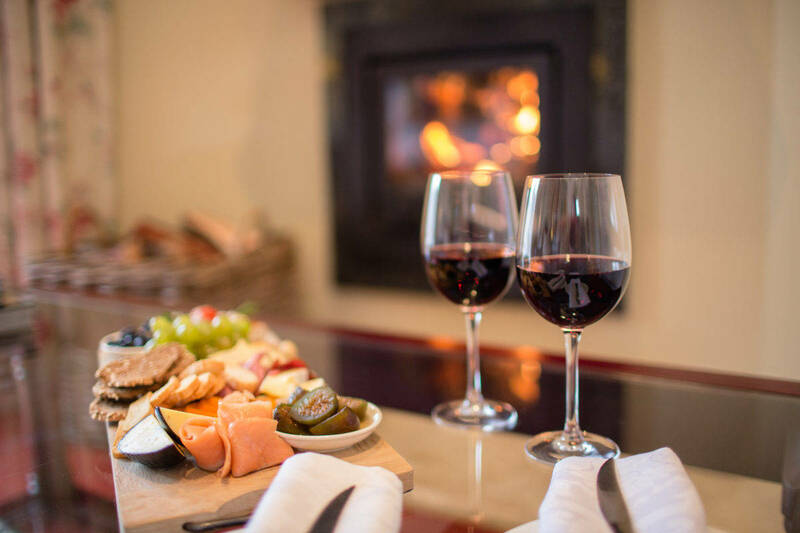 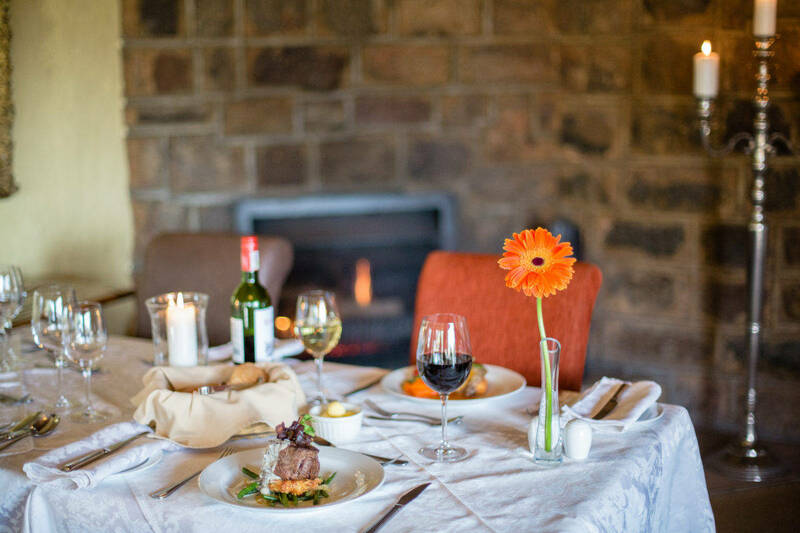 The harmonious and romantic environment of this Dullstroom restaurant is rounded off with a roaring log fire on most evenings. 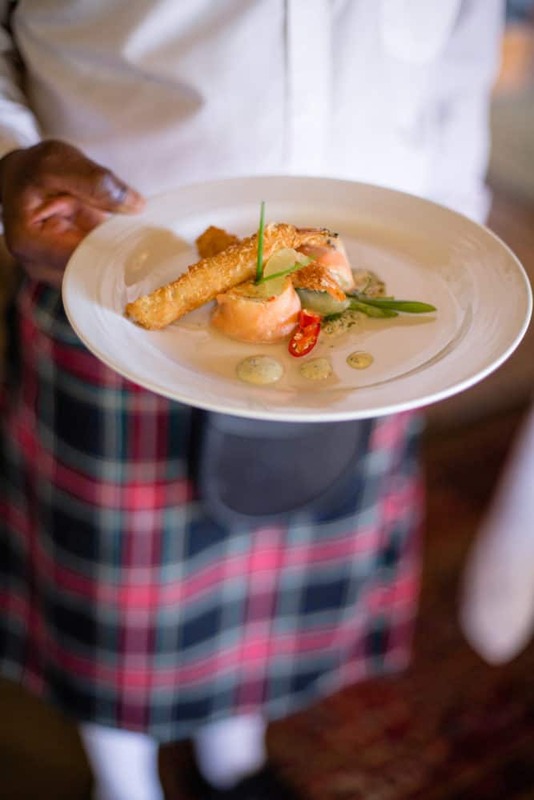 The Flying Scotsman 4-course dinner menu is available from 7pm. 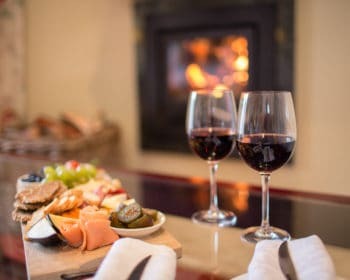 Children 12 and over are welcome. 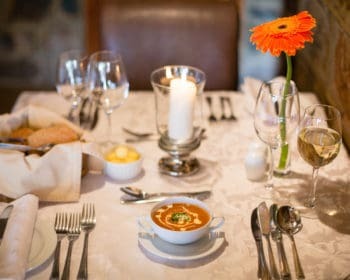 To make a reservation phone +27 (13) 253 7000. 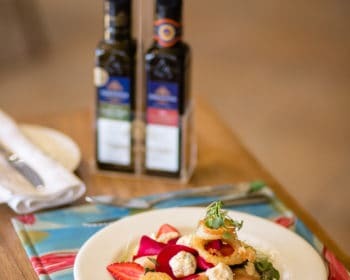 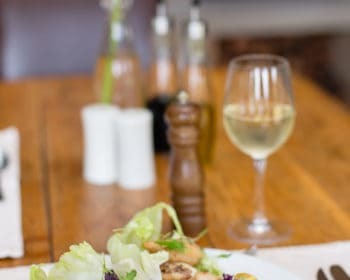 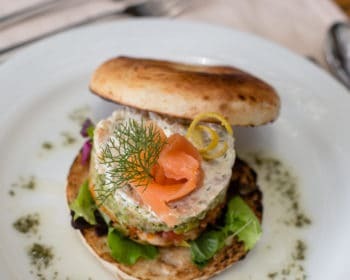 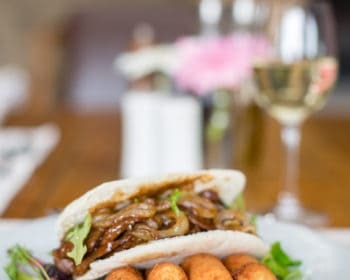 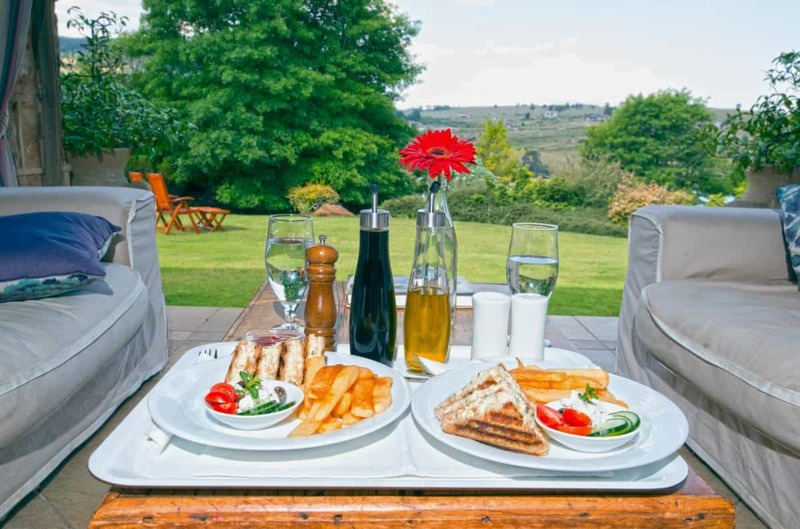 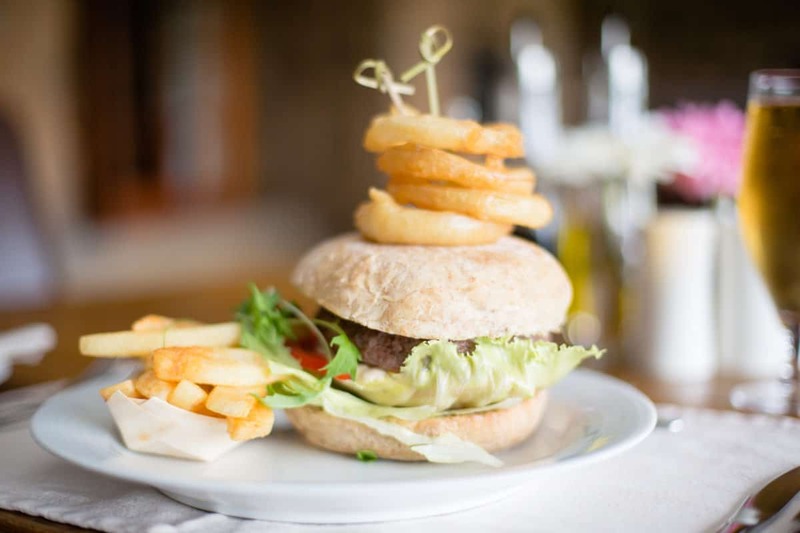 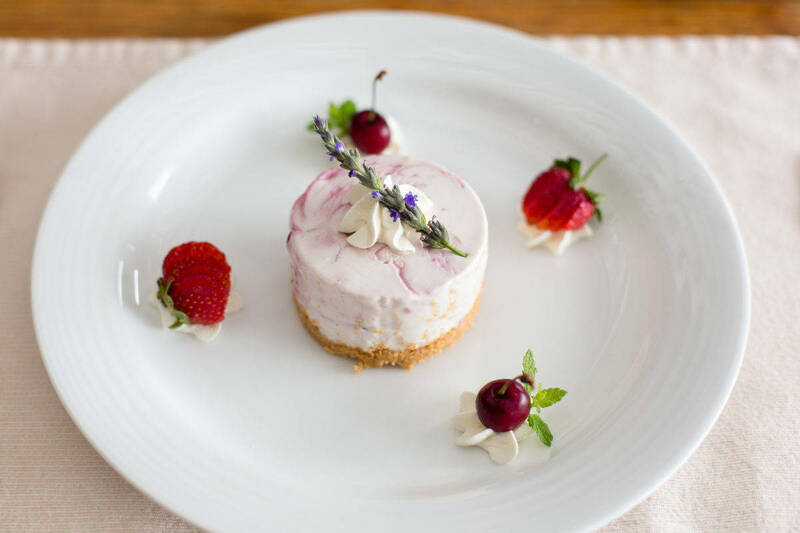 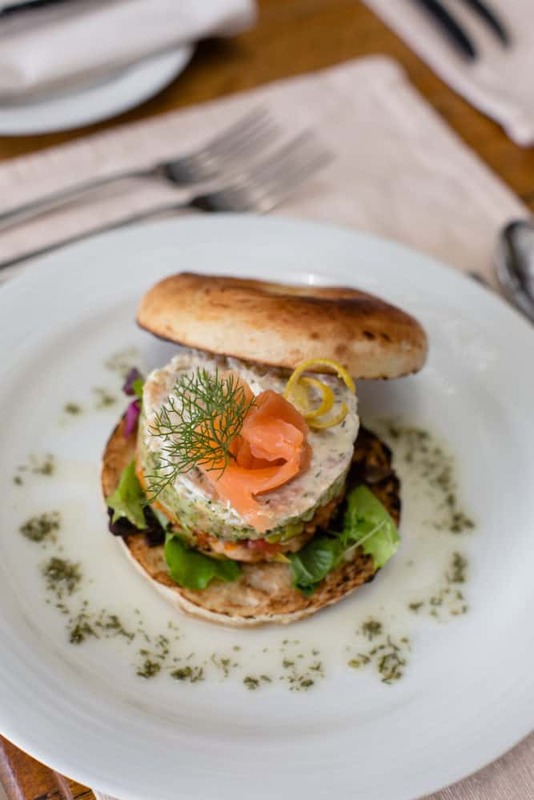 A laid-back restaurant with stunning views of the lush garden and surrounding hillside, The Terrace is one of the most picturesque restaurants in Dullstroom. 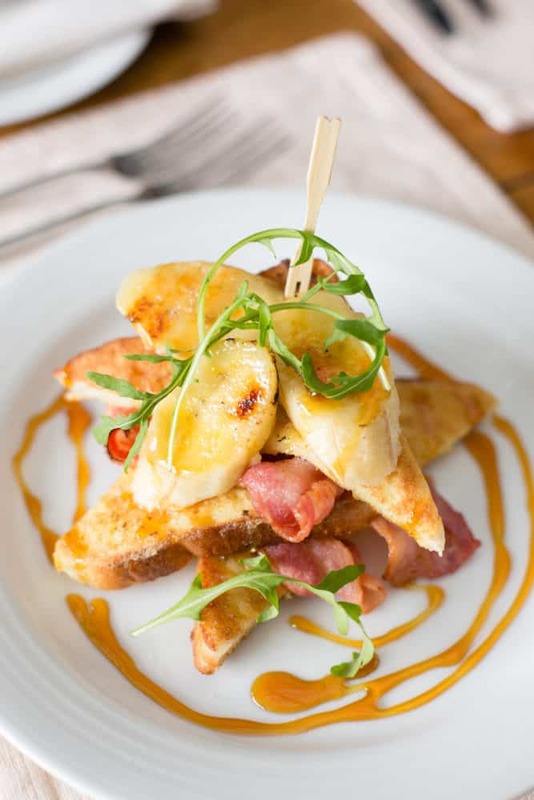 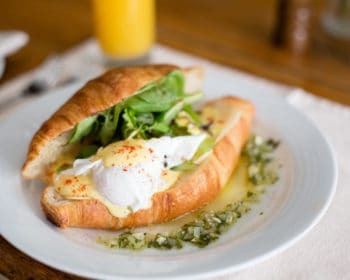 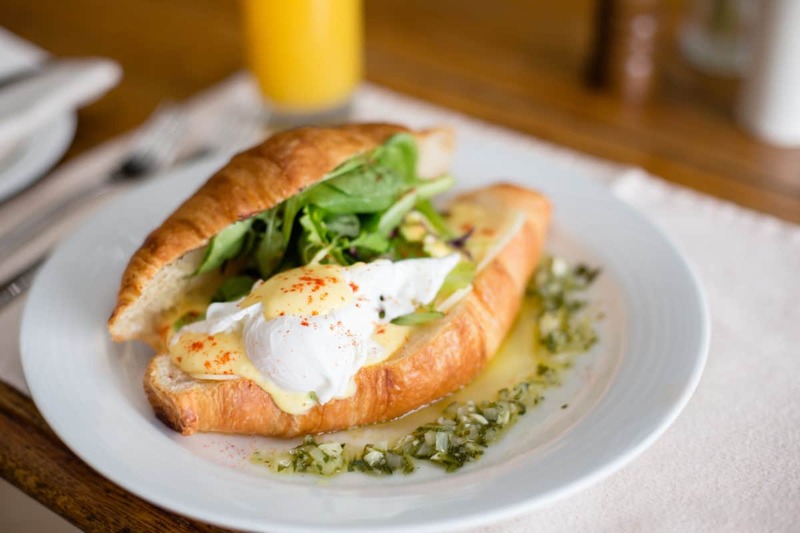 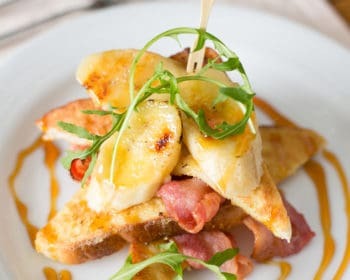 Open for breakfast at 8am, The Terrace presents lighter options from an extensive a la carte menu throughout the day. 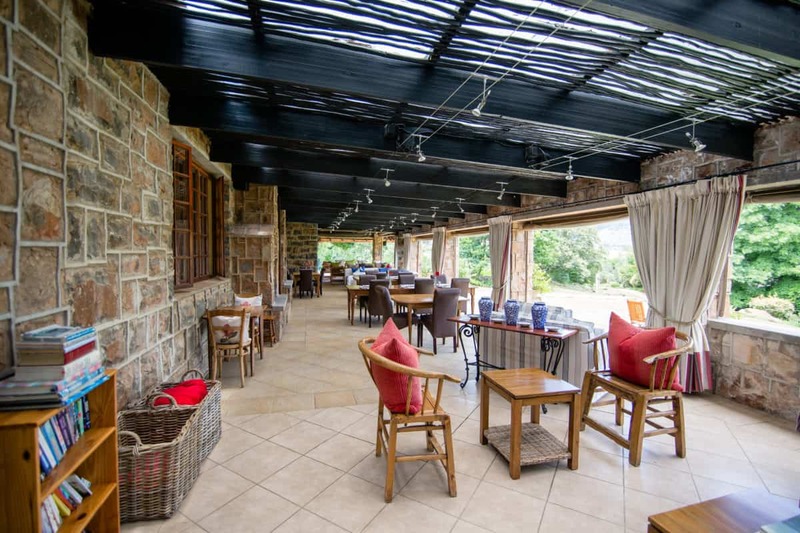 It is the perfect for families travelliing with the little ones, with a delicious kiddies menu and tonnes of open space to entertain them while waiting for their food to be prepared. 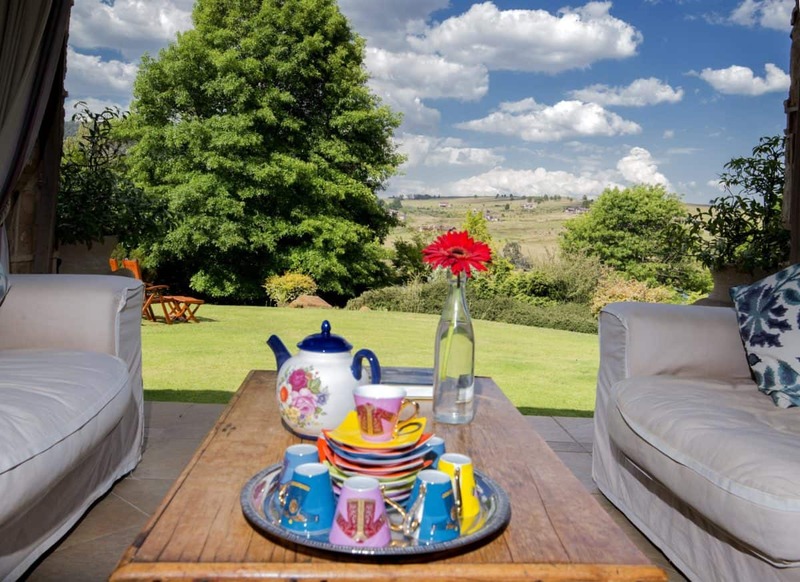 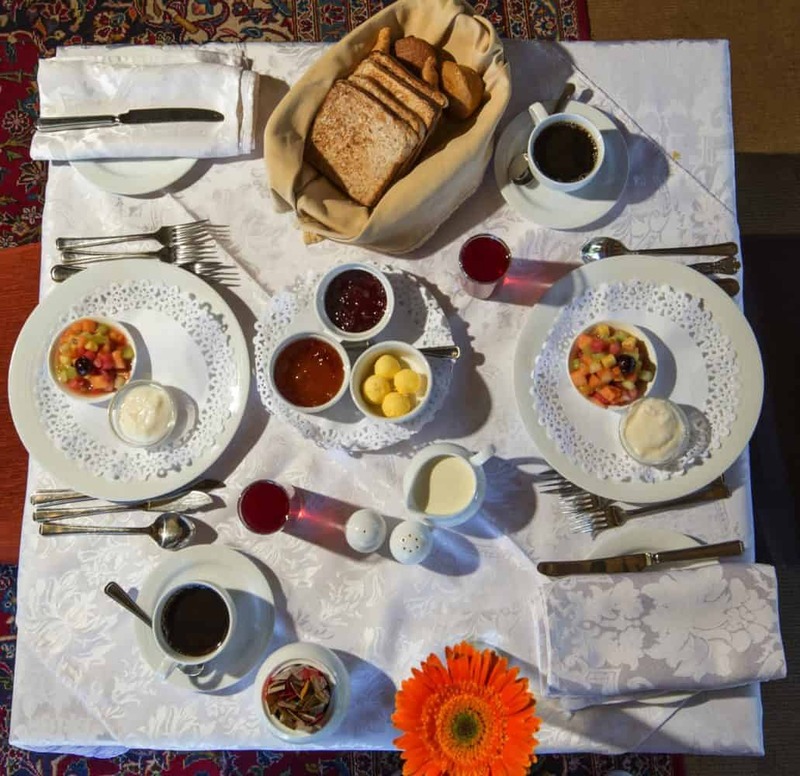 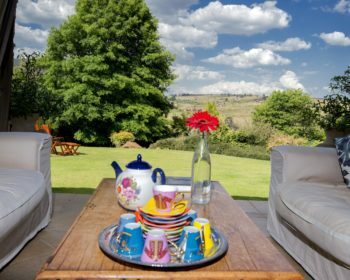 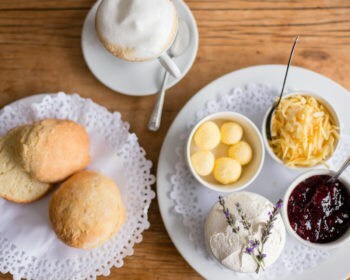 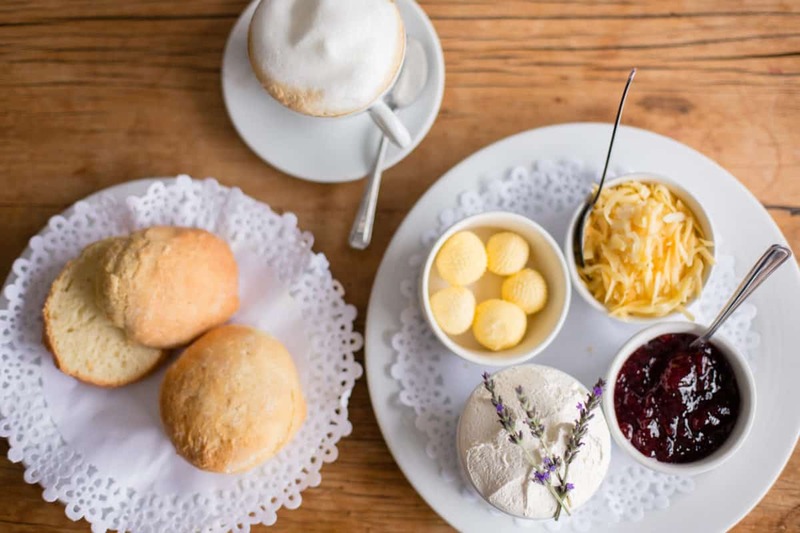 Traditional afternoon tea has long been a popular treat in Dullstroom, and day visitors are always welcome to pop in and enjoy our famous scones on the patio overlooking the rose gardens. 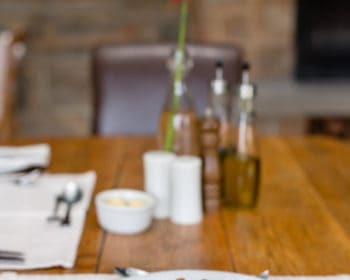 If you prefer to just grab a great cappuccino first thing in the morning or wine by the glass from Peggy’s Bar for a sundowner, you are more than welcome. 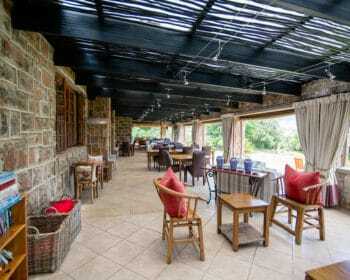 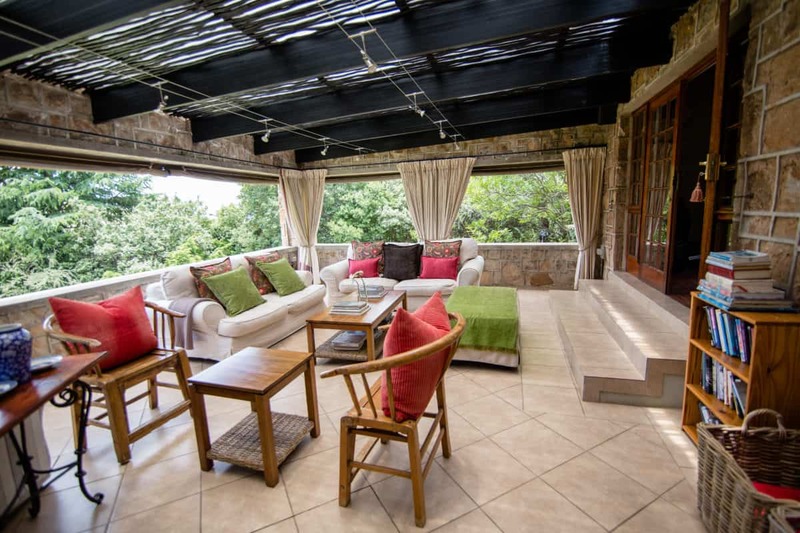 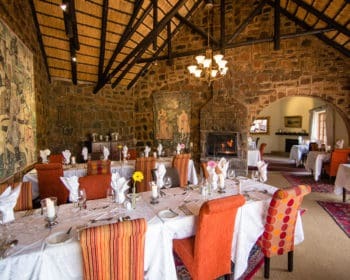 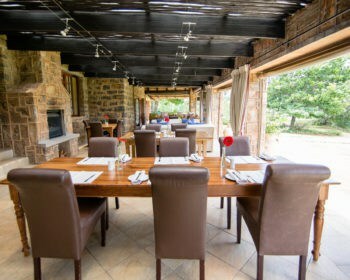 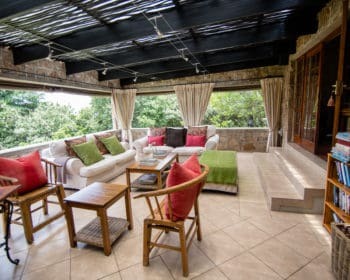 Looking for an extra unique open-air dining experience whilst staying at Walkersons Hotel & Spa? 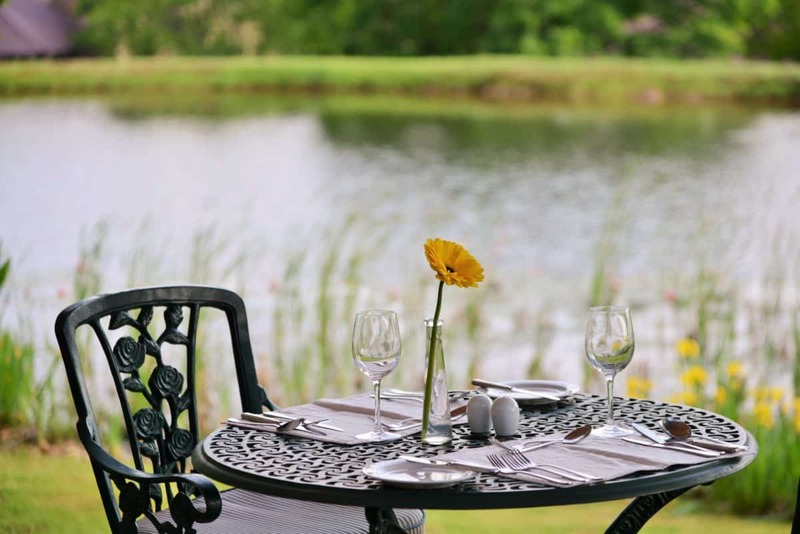 Why not opt for a leisurely picnic upon the banks of one of our many dams. 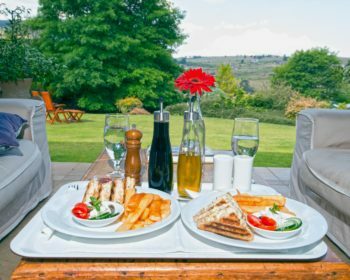 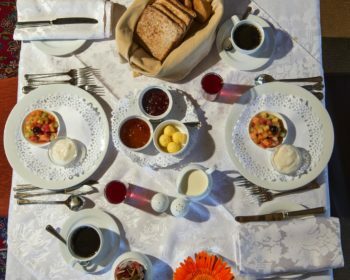 The hotel staff will put together a gourmet pre-packed picnic (complete with blanket), leaving you with the exciting task of selecting the ideal picnic spot. 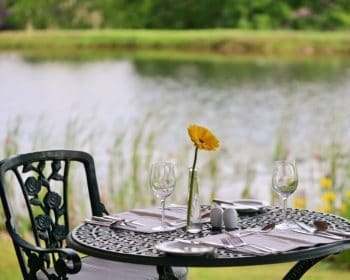 With 14 dams surrounded by lush grass, a winding river running through the estate, and a network of paved pathways connecting it all, there are countless places to settle in for an idyllic picnic. 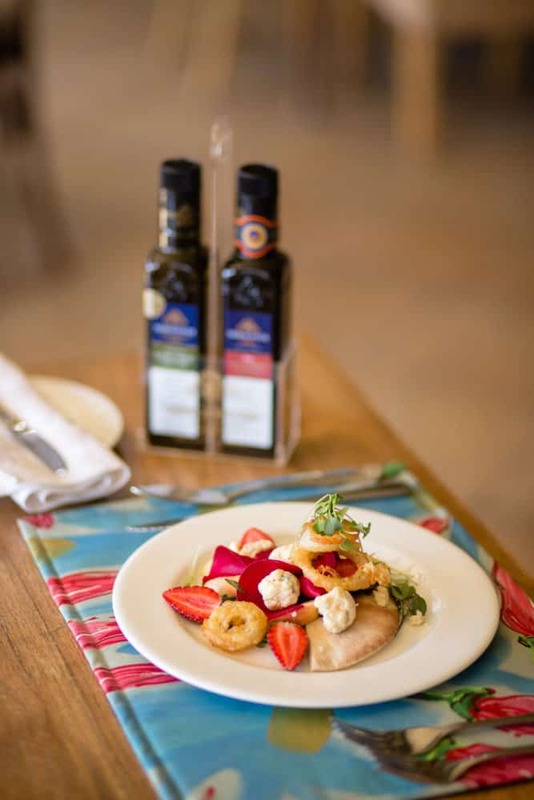 Walkersons Hotel & Spa cater for all dietary requirements. 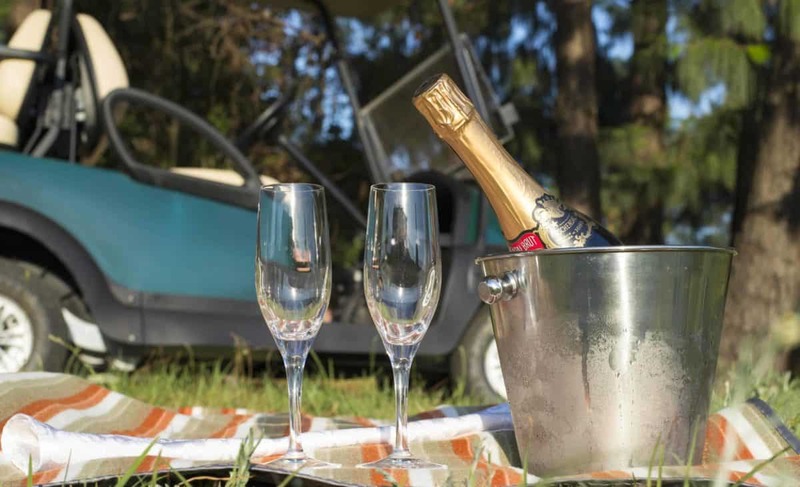 Beverages include water and juice and feel free to add a special bottle of wine or chilled champagne from our award-winning wine cellar to complete your picnic. 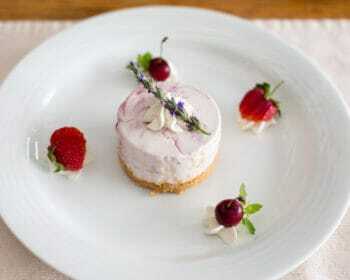 Chaîne des Rôtisseurs is an International Association of Gastronomy established in over 80 countries world-wide. 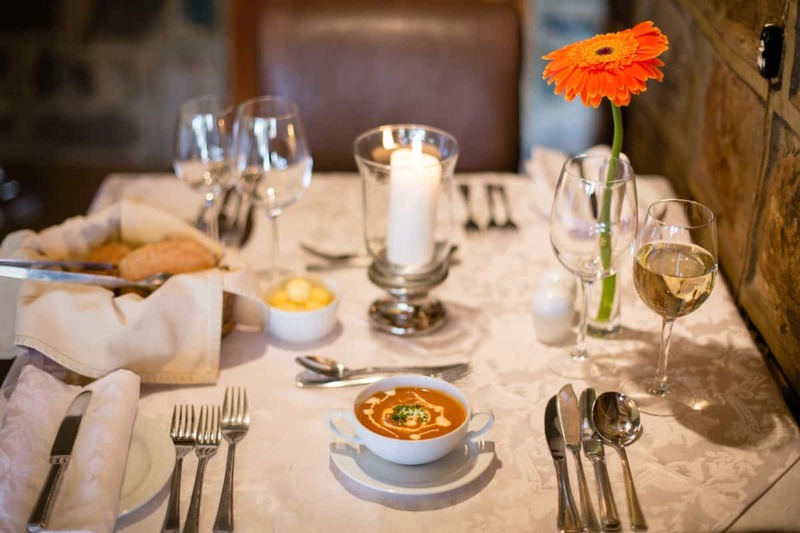 The association brings together culinary enthusiasts who share the same values of fine dining, quality and encouragement and appreciation of the culinary arts. 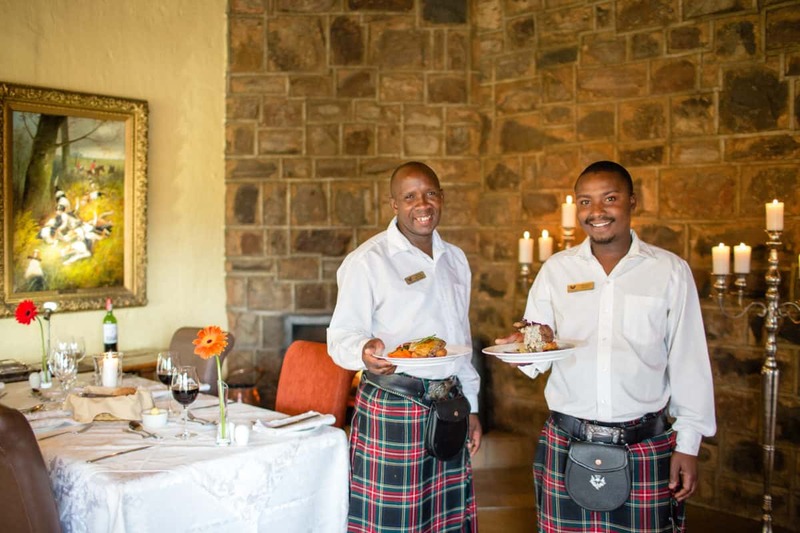 In the case of the Flying Scotsman Restaurant, Chef Adri van Wieringen and the restaurant itself were recognised and rewarded. 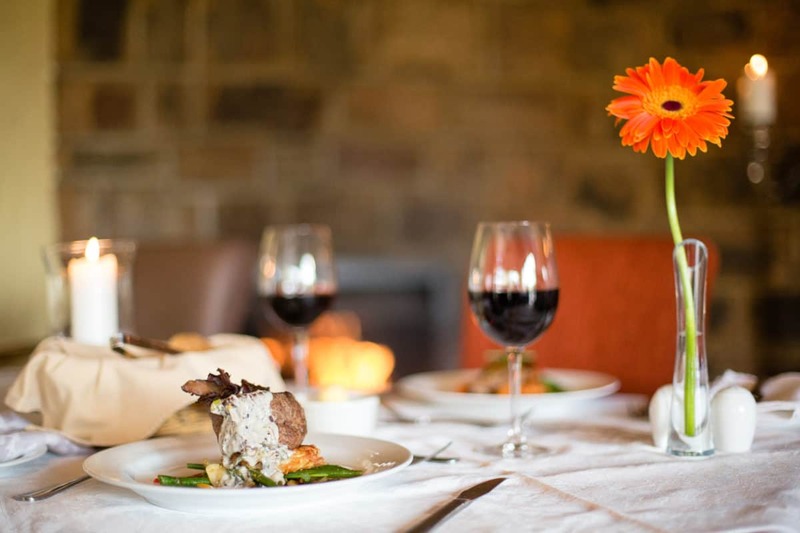 An international Bailliage Committee recommends establishments for the association should they meet a particular set of standards. 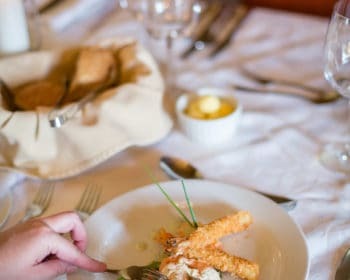 A superb level of cuisine, service and hospitality need be met, exacting the standards of Chaîne des Rôtisseurs internationally and it is also required that the establishment’s support services and facilities meet a set of particular criterion. 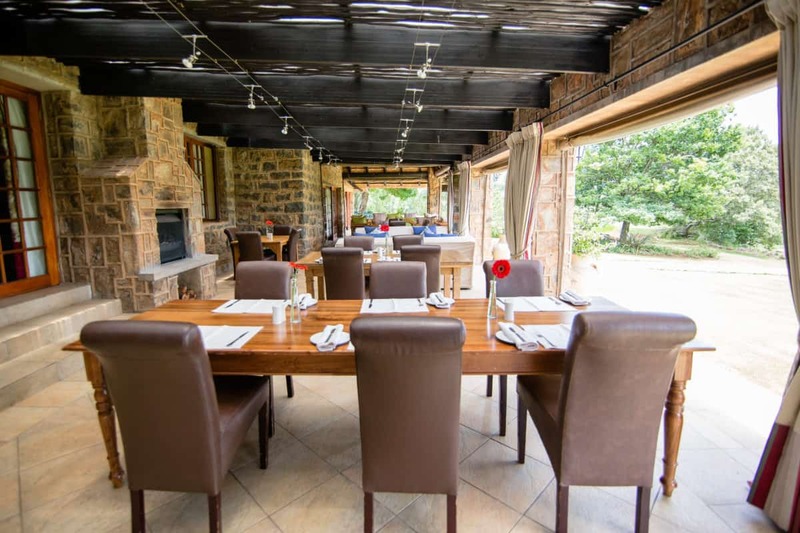 This accolade is significant in many ways, promoting the restaurant as an undoubtedly exceptional fine dining eatery, and celebrating the already magnificent strides the kitchen staff and chef have come.